This year’s AAF Buffalo “Saints + Sinners” ADDYs brought glitz, glam, dancing, and Stan. The LumiFam hit the awards all swagged out ready to party with the industry. Creative restlessness. The concept that launched Luminus when it was two hustlin’ freelancers is the same concept that drives the newest brand interpretation. Co-founders Tim Bouchard and Mike LaDuca have always been driven by feelings of creative restlessness. Feelings that mean good enough never is, and greatness is an ever-evolving target. Way back when, Tim and Mike were a freelance team creating websites for local businesses. But as they grew, so did Luminus. And as Luminus carved out its place in the Buffalo marketing landscape and became a destination for rising professionals looking for opportunities to explore, expand and exceed expectations, we transformed from a web design agency into something much bigger. Tim’s Going to be on Businessology! Mark your calendars! Luminus’ very own Tim Bouchard is scheduled to appear on the Businessology podcast on Wednesday, July 20th. Businessology is a podcast hosted by CPA Jason Blumer, aimed at helping creatives run their businesses more effectively. Through real examples of agencies “figuring it out”, he helps agencies do better work by working better. On this episode of Businessology, Tim will discuss his recent eBook, Golden Mean Pricing. Golden Mean Pricing provides guidance on pricing creative projects for freelancers and small business owners. Check it out here. Luminus Media adds Digital Marketing Director Dan Bauer to the Team! Luminus is excited to announce the addition of our new digital marketing director Dan Bauer! Dan will be steering the ship for all our digital marketing efforts! He’ll be guiding clients through the seas of Search Engine Optimization, Search Advertising, and Content Marketing. The New LUMINUS! Branding and Digital Marketing for All! In 2007 Mike and I started a journey in the world of creative services. We saw an opportunity to work together and strengthen each other’s talents as well as offer top notch talent to budding and growing local businesses. It was wild, unpredictable, and kept us on our toes. In 2010 we made it official, registering the joint brand name Luminus Media. We signed on for some shared office space on Elmwood and started promoting ourselves as an official team. We developed some close business relationships and started to acquire more established and recognizable clients. It was really fun! Luminus Media adds Designer John P English to the Team! Luminus media is excited to announce the addition of our newest designer John P English! John will be getting very involved in branding, concepting, & print design. Our clients will get to know him very well and we’re super excited about it! We’re proud to announce that Luminus Media earned a Gold award at the 2015 WNY ADDYs in the Digital Advertising Services category. Our work on the Montante Solar website & online animation stood out from the competition for the 2014 work year. 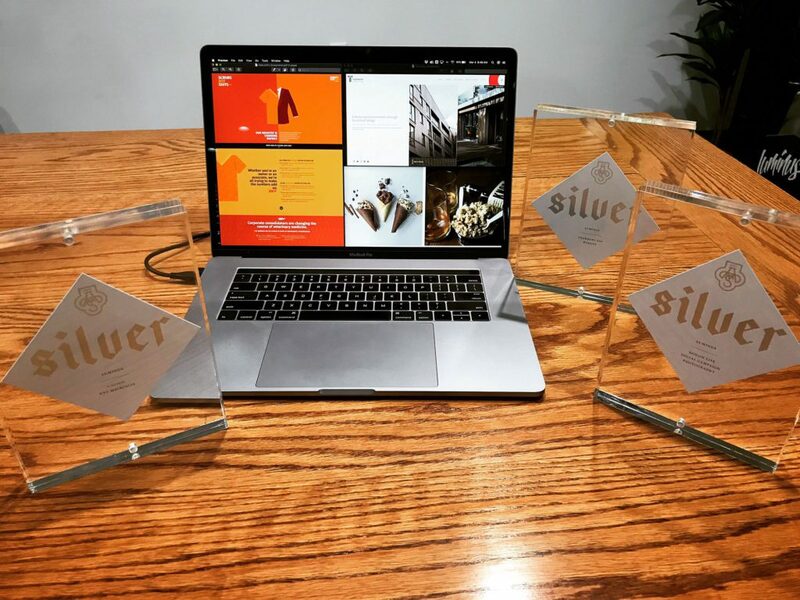 Needless to say, being our first time entered into the ADDYs, we’re thrilled and can’t wait to make more great work this year that we’ll enter into next year’s show! Shout out to Christian Campos at T.M. Montane for his enthusiasm and freedom to let us explore creative ways to present the world of solar energy to the world. It certainly paid off!